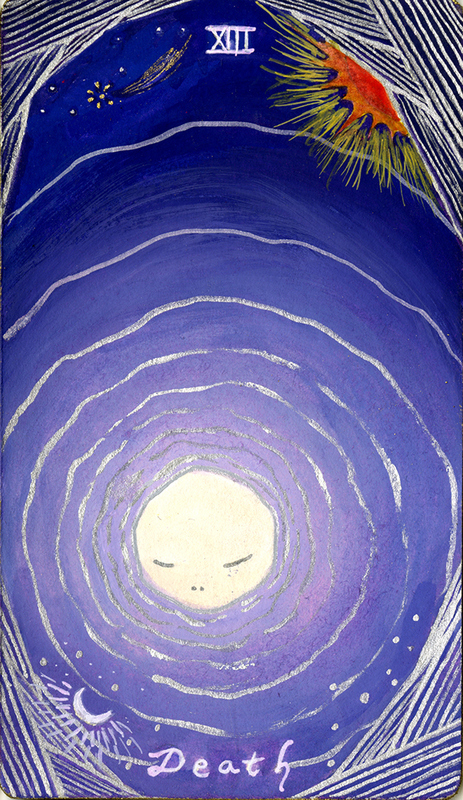 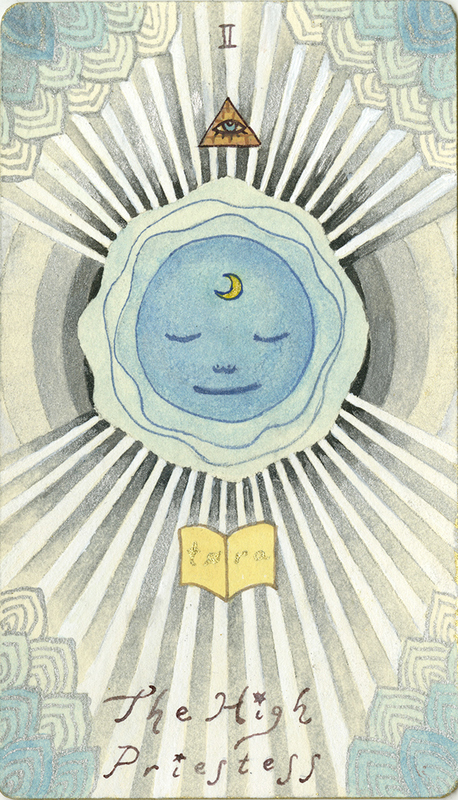 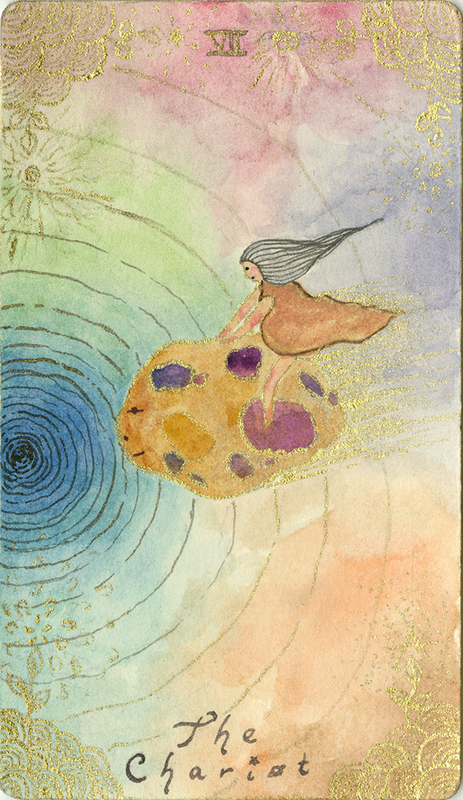 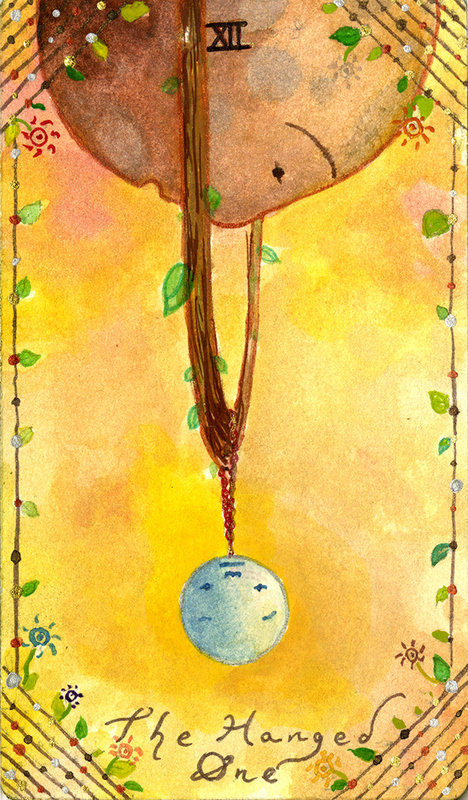 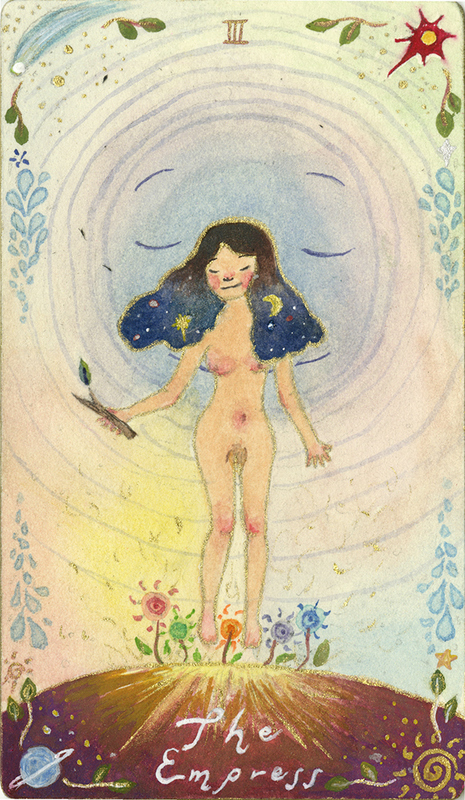 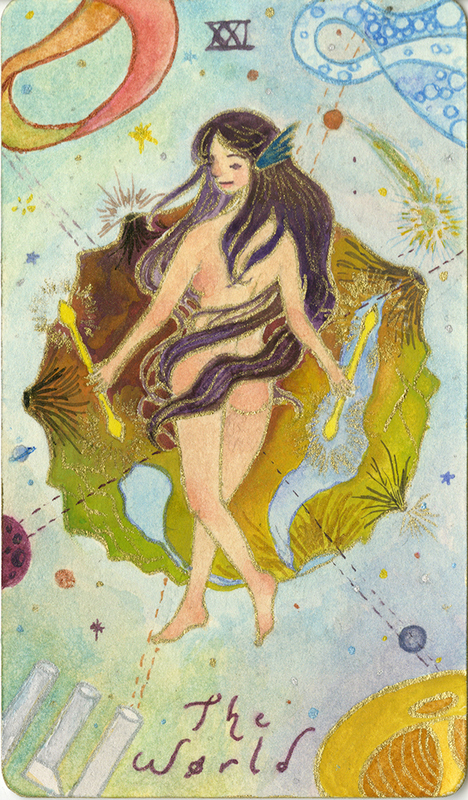 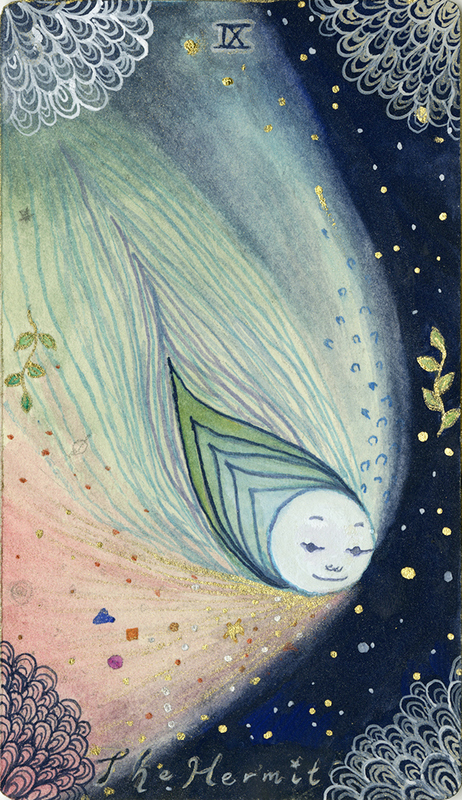 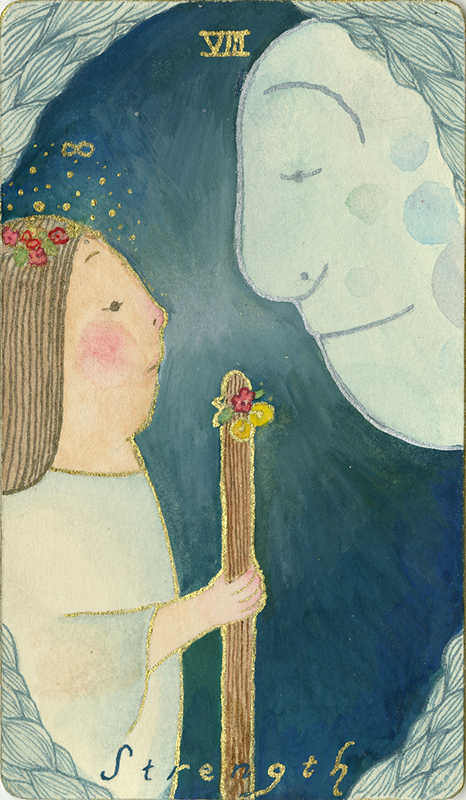 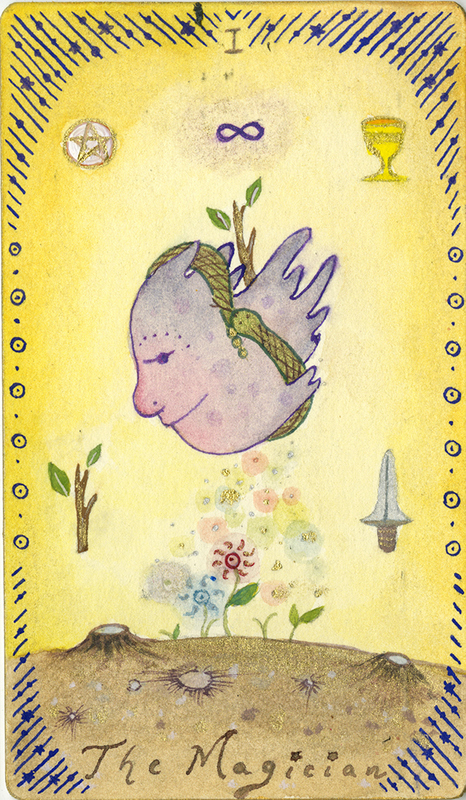 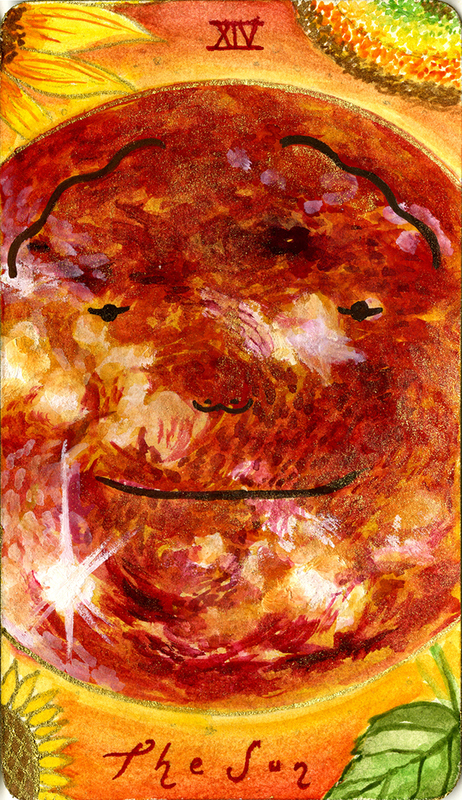 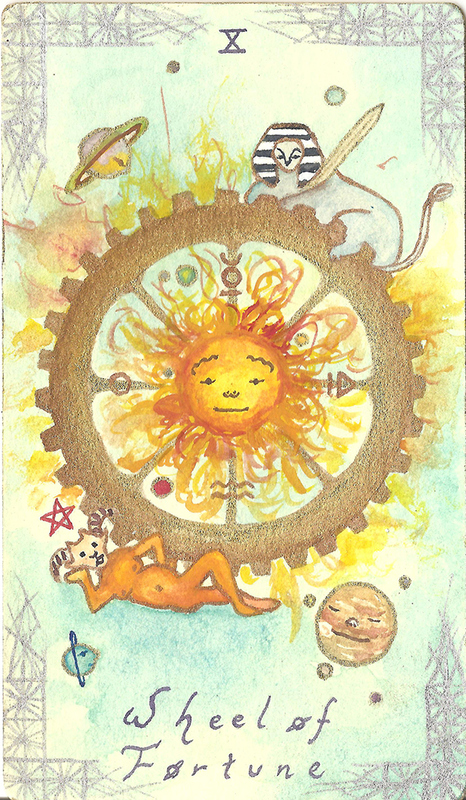 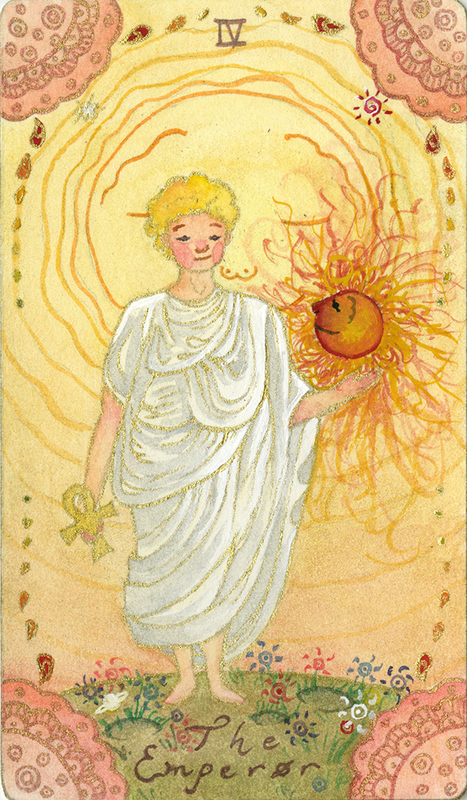 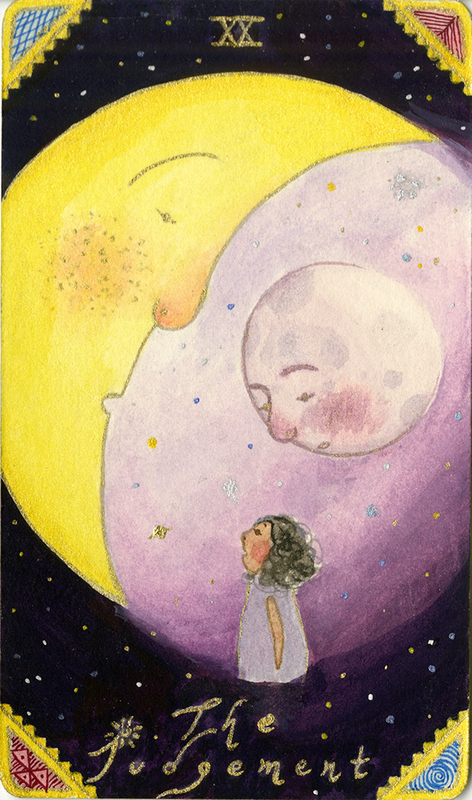 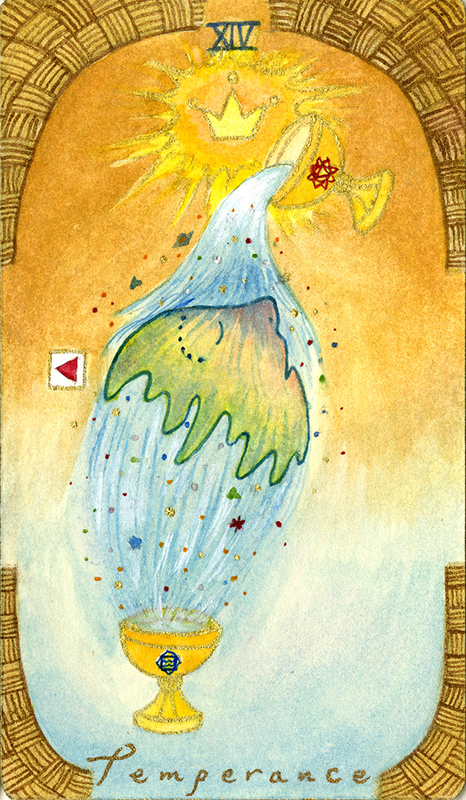 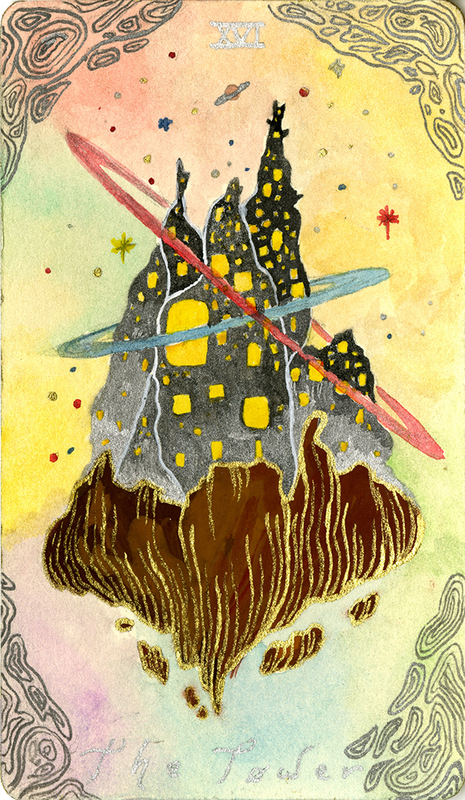 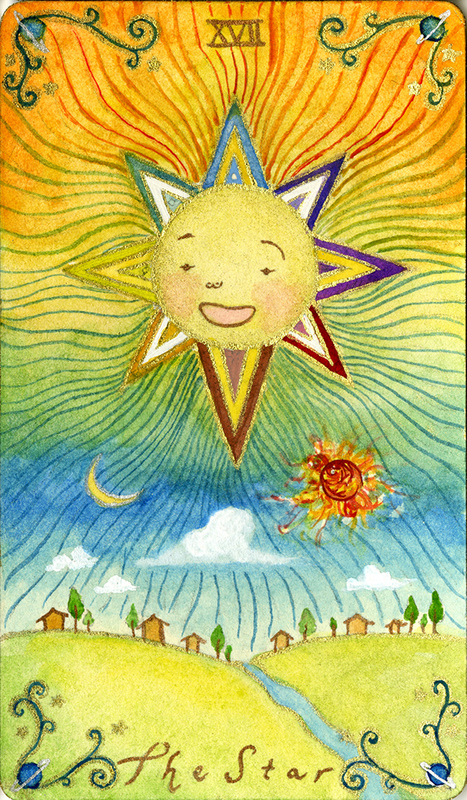 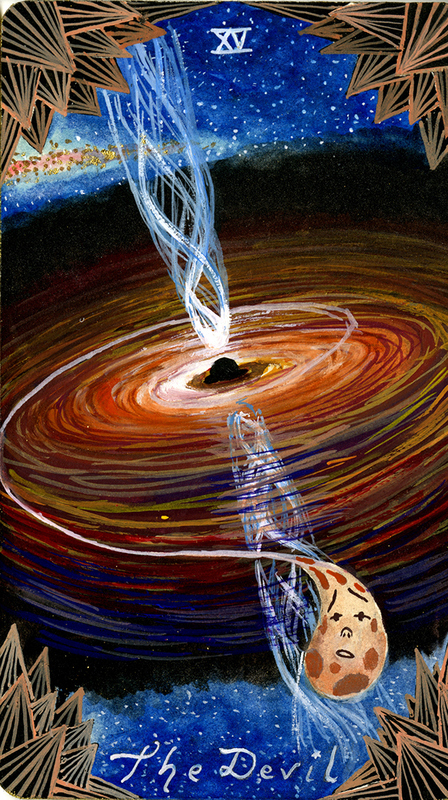 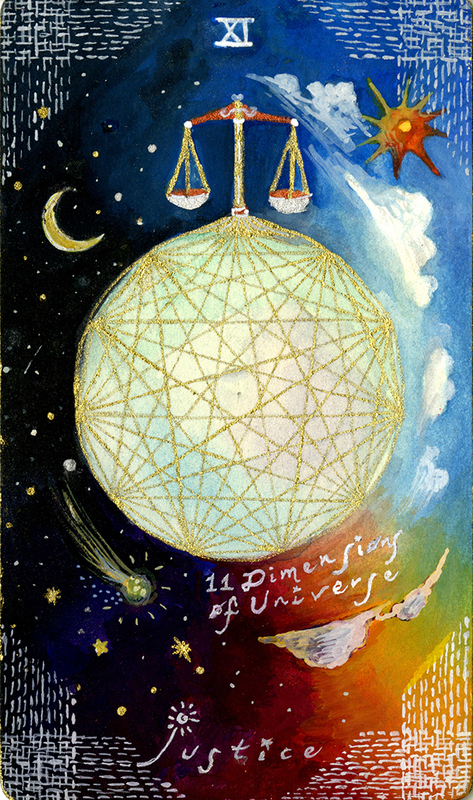 I reinterpreted meaning in each Tarot card in the style of children's book illustration. 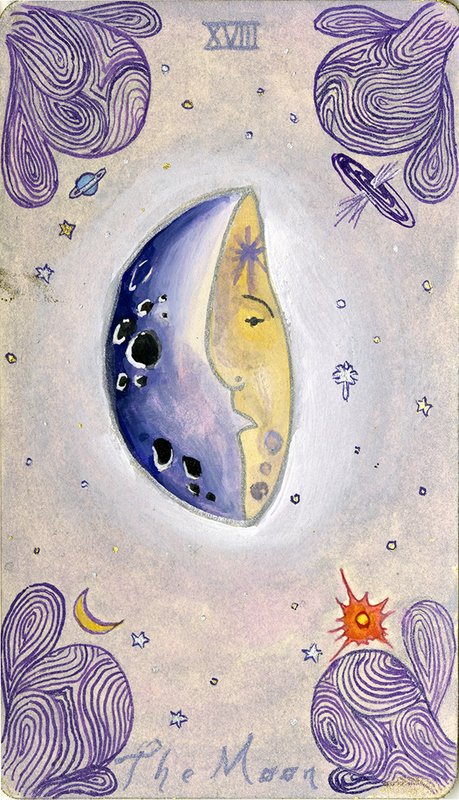 These are mainly composed of planets and stars, comets, people, but also I included various race and culture from all over the world to emphasize harmony in all of us. 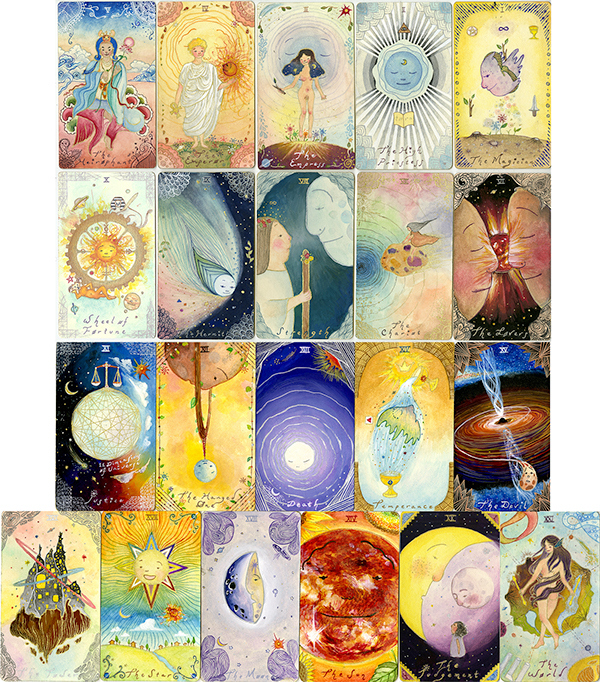 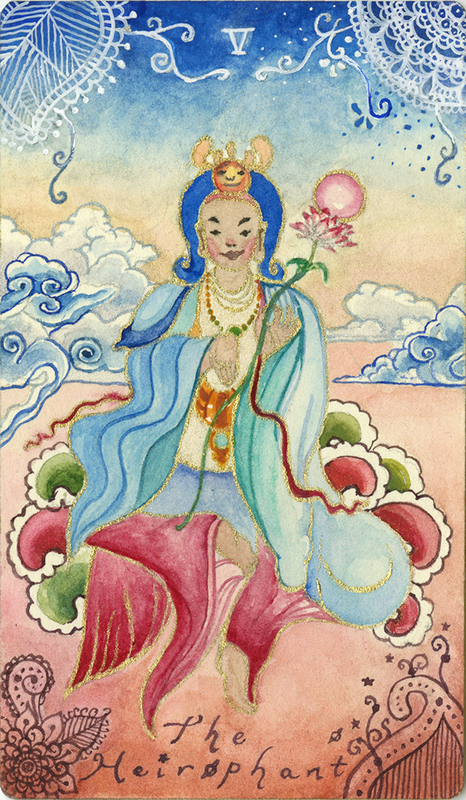 This project is still in progress - there are 78 cards in Tarot deck!